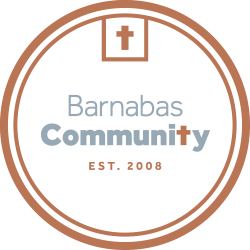 Beginning Nov. 2, Barnabas Community, in partnership with Shared Vision – a non-profit eye care organization, will offer eye clinics monthly on the first Thursday each month, from 9am-noon. Ask guests as you volunteer if they may be in need of an eye exam and new glasses. Give Dana or Pastor Rhonda their name if they can make it for the eye clinic and we will get them on the list for an appointment! If you would like to volunteer for the eye clinic in November, we need help with hospitality. Sign up at: sheridanlutheran.ivolunteer.com/barnabas_035 and click the "Eye Clinic Hospitality" tab. If you would like to make an offering to support the eye clinic, make checks payable to Sheridan Lutheran Church; Memo: Barnabas Community Eye Clinic.